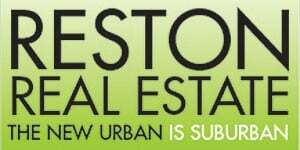 This is a sponsored article from Eve Thompson of Reston Real Estate. She writes twice weekly on Reston Now. There were 26 new properties that came on the market this week, bringing the total inventory to right around 190. Days on market has crept up especially in higher priced homes with the average hovering around 40. Long & Foster is having a companywide Open House extravaganza this Sunday so there should be lots to see. Below are a few of the houses that are new to the market this week.